EZ Foam Pyramidal 10 acoustical foam has a unique surface pattern that is matching and seamless when installed. 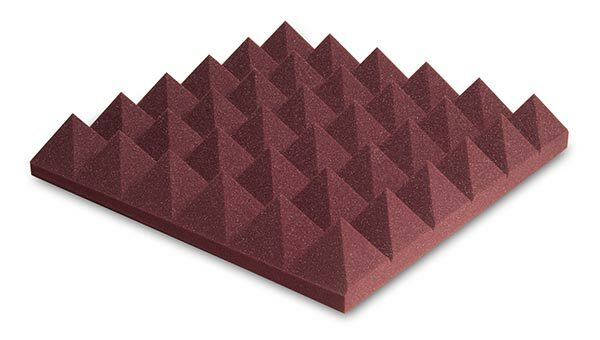 With an NRC 1.05, the EZ Foam Pyramidal 10 acoustical foam is a powerful sound absorber that dramatically reduces echo, reverberation and standing waves in all types of facilities. EZ Foam Pyramidal 10 gives you one uniform look to a treated wall, and is ideal for any application where sound absorption and aesthetics are both considerations. Available in color charcoal with M1 fire rating. 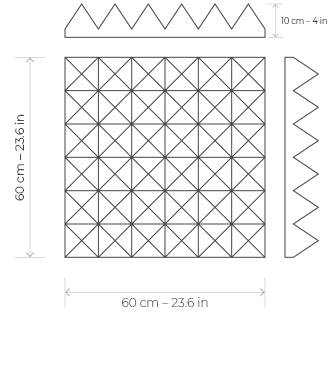 EZ Foam Pyramidal 10 is available in sheets measuring 60 x 60 cm and 10 cm thickness. 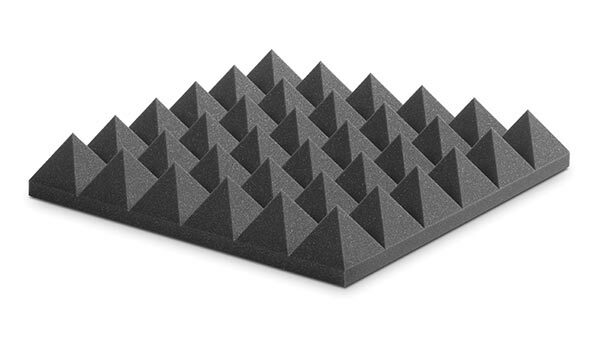 EZ Foam Pyramidal 10 is ideal for recording studios as well as home recording studios.